Here it is ladies…and gents!! This is by far, THE BEST vanilla extract you will ever use! So many people think that making homemade anything takes so much time and effort that sometimes it’s easier to just buy pre-made. Let me tell you – sometimes, yes; and SOMETIMES, there is nothing better than homemade. 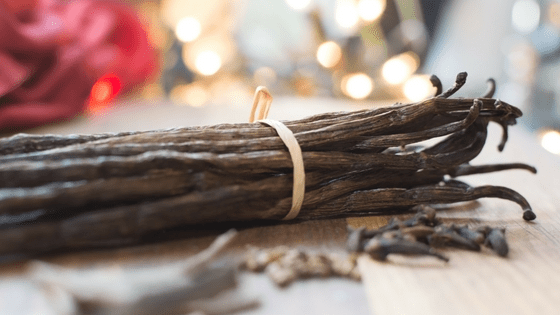 This homemade Vanilla Extract is going to have your heart racing when you start using it in your recipes! Vanilla is a staple ingredient in almost every recipe. If you love baking or cooking, you can bet you’re going to need vanilla extract at some point – many times over! Why not create an extract that is both healthy since there are no preservatives AND it makes your dishes tasting heavenly! I make this every year for friends and family and let me tell you, people ask for it when they need more. You can truly tell the difference when you are baking with it!! The key to the best vanilla extract is real MADAGASCAR vanilla beans and GOOD vodka! If you can’t find high quality Madagascar beans at a local Amish store you can go to Amazon and buy THESE which is what I use! Don’t skimp on the beans – there is a huge difference in cheap versus quality. I use THESE pint mason jars. Fill your mason jar with vodka leaving an inch at the top. Take each vanilla bean and splice it down the middle lengthwise and then cut in half. This will give you four pieces out of one bean. You will place 1 1/2 beans (6 splices) into each jar. Seal it up and put it in a dark cupboard for at least 3 months to steep. I personally prefer letting them sit for at least 4 months but the concentration will be ready at 3. I tend to make these in August which means they are ready for gift giving at Christmas! 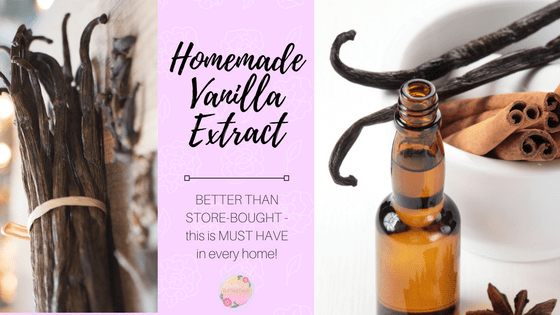 It’s so easy and in no time and you will have THE BEST vanilla extract EVER!! Just be warned, if you make it, you will have people knocking at your door when they’re jar is empty ready for a replacement! 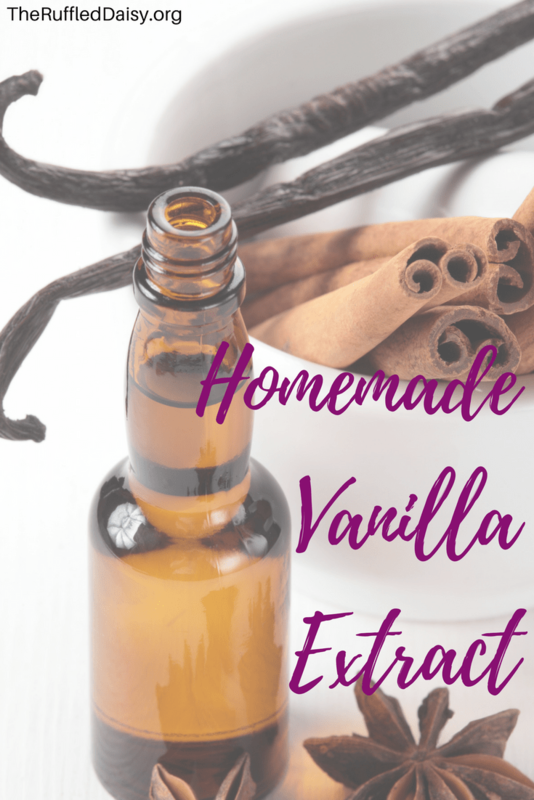 Check out these recipes that I have used this exact homemade vanilla extract in!